If you want to enjoy your weekend productively with family enjoying some extraordinary moments, there is no better choice in Oman than Al Bahja Cinema. Located in the lower ground floor of the popular Al Bahja Shopping Mall in Muscat, the cinema offers state-of-the-art entertainment options to all film lovers. If you want to watch the movie of your favorite stars enjoying the most impeccable clarity, hearing each and every sound note in a crystal clear manner, Al Bahja Cinema would be the most desirable choice. The sound quality and picture rendering is of immaculate quality which will make the experience of watching a movie a truly unforgettable experience. If you want to enjoy the newly released Hollywood flicks enjoying amazing comfort in a cozy environment, munching your favorite snacks, you should visit Al Bahja Cinema. The seats in the cinemas are positioned well to ensure sound comfort and adequate support to avoid any distraction while you’re engaged in a visual treat. 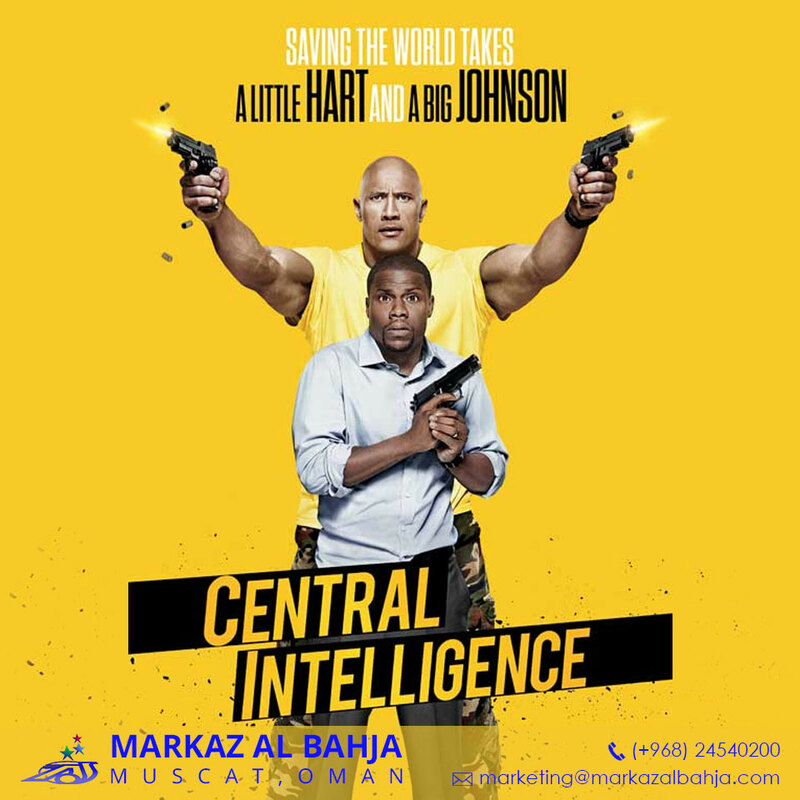 You can use the official website: http://albahjacinemaoman.com/to place your bookings after going through the list of currently showing movies. All the comfort and convenience you would anticipate while deciding to watch a movie with your family or friends would be met to the dot when you choose Al Bahja Cinema. 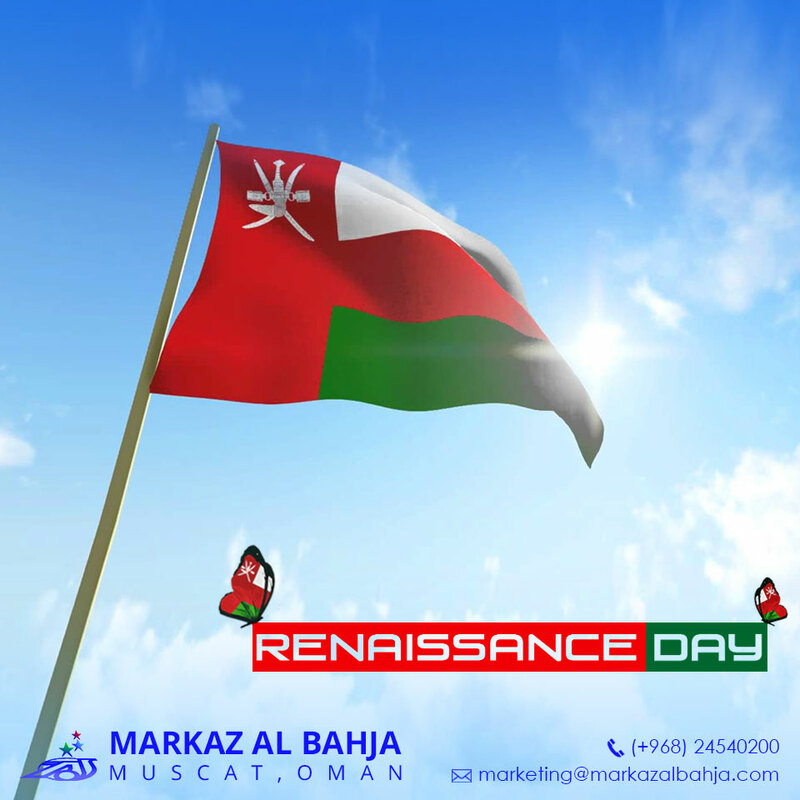 During weekends and holidays, you shouldn’t forget to book your tickets in advance as the place is fast turning out to be the favorite hangout spot for the people of Oman. With ample parking space and food options, you do not have to search for any other place to watch your favorite flick! Cinema is definitely a matter of what’s in the frame and what’s out and Al Bahja Cinema is the complete package that you would want! The time of the year again, when you spend your mornings fasting and indulging yourselves in prayers seeking the blessings of Almighty is now coming to an end, and the world is all set to celebrate the festival of Eid. The best way to celebrate would be to enjoy the holiday season with your dear ones at the most fabulous places in your city. Markaz Al Bahja, due to a huge bunch of reasons, would be an ideal destination to celebrate this Eid. The most popular shopping mall in Muscat is providing some stunning offers to celebrate the festival in absolute splendor. You might be well aware of the specialties of the mall. Located in the heart of the city, with ample car parking space, and equipped with all modern amenities, Markaz Al Bahja is the best shopping destination in the country. The shopping outlets displays merchandise in various genres from international as well as local brands without ever compromising on quality standards. The fabulous shopping options available in the mall makes it a one-stop-destination for your family’s never ending shopping needs. You can buy household articles, electronics, and your favorite brand of clothes to update your fashion statements by simply visiting this mall. To get new clothes to celebrate Eid in its full opulence and to buy everything you need to give a revamp to your homes during the jolly good season, Markaz Al Bahja would indeed be the best place. The way the mall welcomes the festive season is another factor that drives in a lot of people to the place. From the moment you step into the mall, you will get to experience the essence of the festive season. With decorations and special offers at various outlets, you will be able to enjoy each and every moment spent in the mall with your special ones. When you are done loitering around in the mall and buying all the stuff you need, you will definitely be a happy soul. This is not only because you get to buy all your favorite stuff but also because you get to enjoy some splendid savings especially due to the festive season. The availability of special goods at various outlets to make the holy month even more special would be just another reason that will give you immense joy. Different stores will also roll out amazing offers on the day of the festival. The food court will also be loaded with special delicacies from different parts of the world by expert chefs to tickle your taste buds and make the days of the festival extremely special. 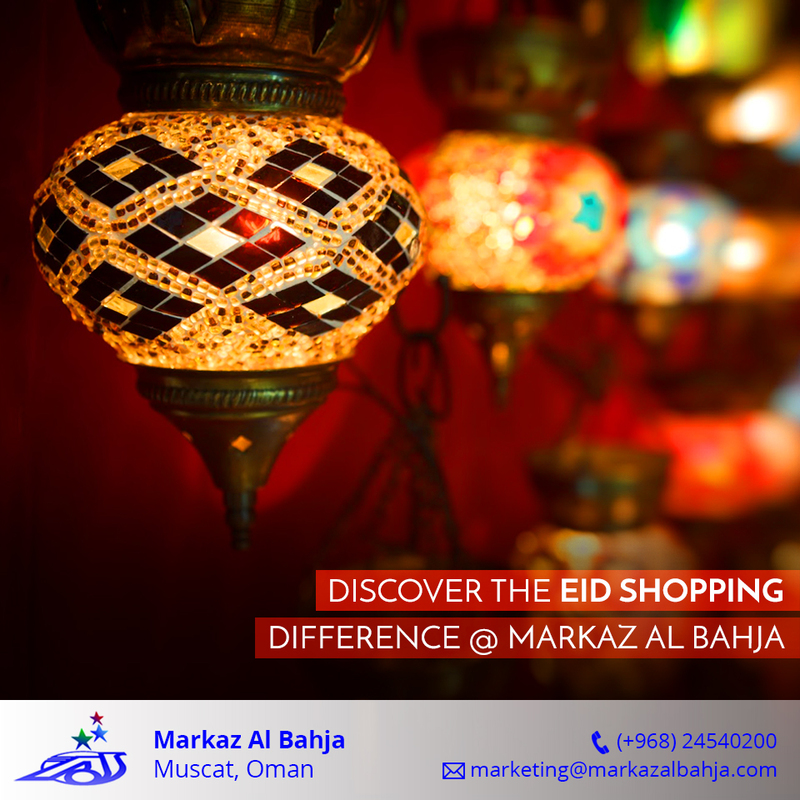 Drive to Markaz Al Bahja to experience the best of Eid in Oman! In order to satisfy all your shopping needs to the dot, you now have a one-stop-solution in Muscat. Markaz Al Bahja is a fully equipped shopping mall that houses all sorts of most modern goodies in all categories. Be it to shop for Lifestyle products, accessories, kitchenware, fashion accessories, or gift articles, you now can get the most impeccable products at competitive rates from the various outlets in Markaz Al Bahja. 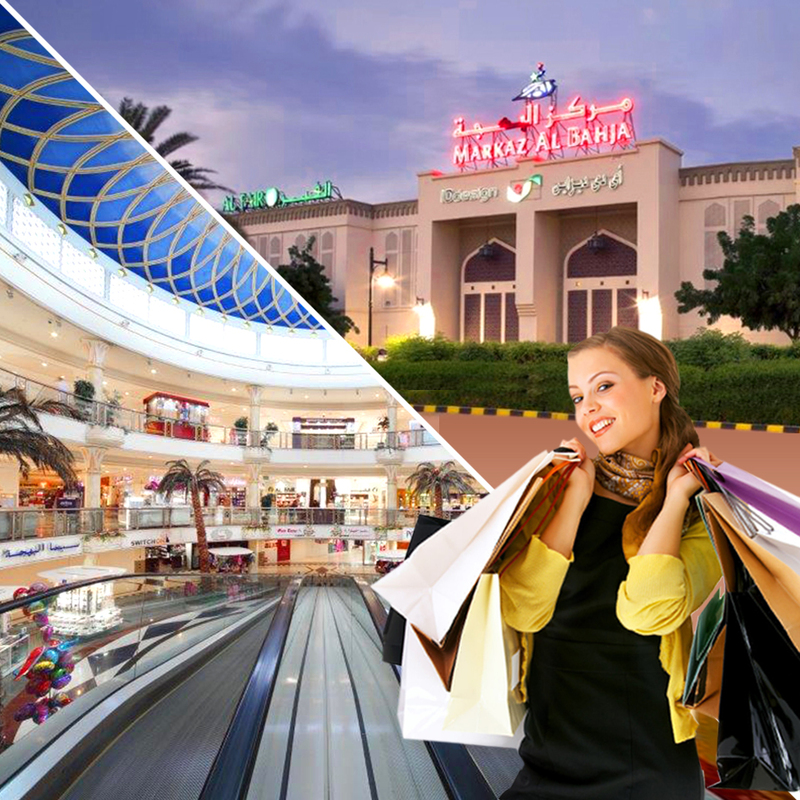 The mall is an all-in-all package to suit all your shopping needs in the most perfect manner. If you want to get yourself the most modern and trendy lifestyle products, Markaz Al Bahja would be the most feasible option in Muscat city. You will get to choose from a wide range of international and local brands, compare the quality, styles and prices with ease before adding items to your shopping bag and exiting out of the counter. There is no other place in the entire city that offers you with such splendid options to choose from. Now think about getting the best brands and styles in fashion! The fashion outlets in Markaz Al Bahja have all major brands that are internationally acclaimed as well as some of the most trusted names from the local market. The outlets offer you a splendid display of products that will rekindle the fashion freak in you and transform you into a modernized version which will help to boost your overall confidence and pump you with a lot of joy. When it comes to the entertainment segment, there are cinemas to watch the most popular movies enjoying all the luxury and comfort you would require during the entire time span. To hang out with friends, enjoy fruitful conversations, or to enjoy a jolly good time with your kith and kin over a meal or a cup of coffee, there are food courts and coffee shops that offer a splendid ambience. The overall beauty of the place, the comfort facilities offered like assistance to the needy, and ample parking space, are other reasons to make this mall your favorite shopping destination in Muscat. Now, you shouldn’t wait any longer to enjoy an international shopping experience in the city without having to cross any borders! Visit Markaz Al Bahja today!